16" rims and knobby tires. 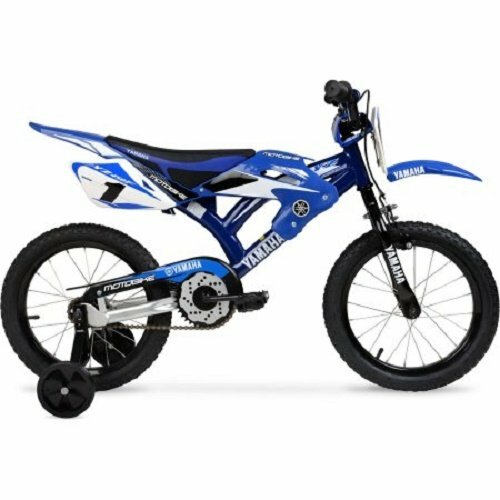 This kids' moto bike also has standard size pedals and front brakes for an easy way to stop. With only one speed there are no complicated gears. Training wheels are included for beginners who are still learning to ride. This 16" Yamaha bike can support up to 100 lbs in weight capacity. It is easy to assemble.